Once a year I go up to Mt. Sinai Hospital to get checked out as part of a World Trade Center Monitoring and Health program (I was a volunteer at the site, for those who may not know). But the funds were only for seven years so that was my last check up. I’m fine so far though. I’m waiting for more test results which I’m sure will also be fine, but I’ve grown taller, which is the weirdest, weirdest thing. I already knew, I found out accidentally a couple of months ago. I decided this must be from the swimming, from all the constant stretching, stretching, stretching, and according to what I learned googling, this could be the reason. I’m now a little over 5′ 3″ (I forget how much). I used to be 5′ 2 1/2″. I know, not a lot, but I love being able to say I’m 5′ 3″. I don’t know why. Here are some pictures I took walking back home. 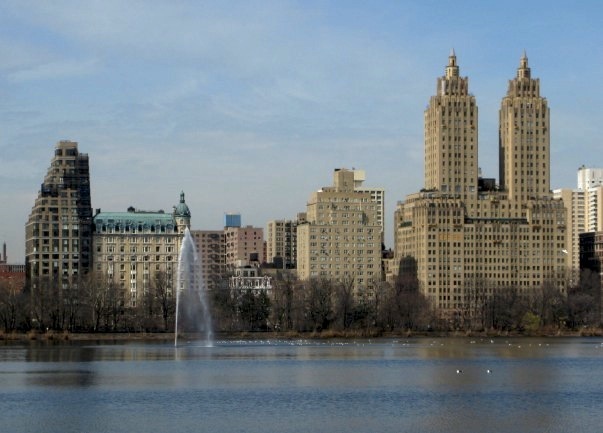 First, looking toward the west side of Manhattan across the Central Park Reservoir. 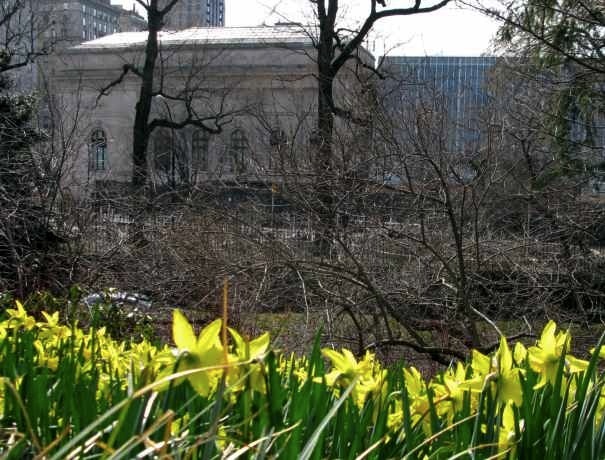 Looking past the daffodils (in the winter) to the Metropolitan Museum. 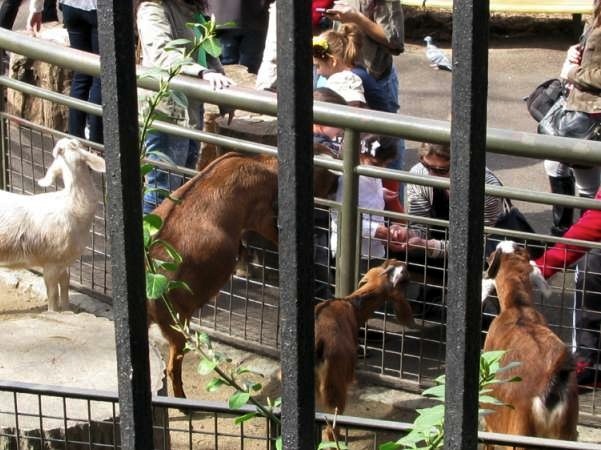 An agressive goat at the Central Park petting zoo (the second one from the left, the parent pulled her child away). 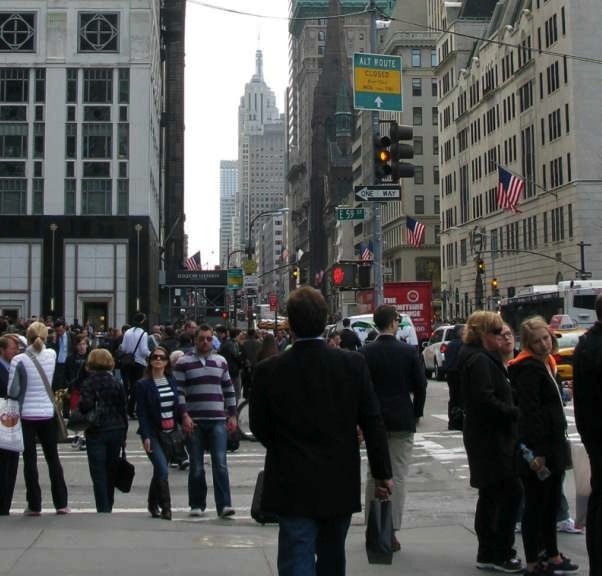 Walking down Fifth Avenue, that’s the Empire State Building in the distance (I’m at 59th, the Empire State Building is at 34th). I grew 1/2 inch when I started doing yoga regularly. I am 6′ to begin with though, so I can’t say I was too excited about it…. That’s interesting though, I had no idea people could gain height after a certain age. Best of luck tomorrow with the bone graft, Stacy! I’ll be thinking of you… I’m sure it will go well!